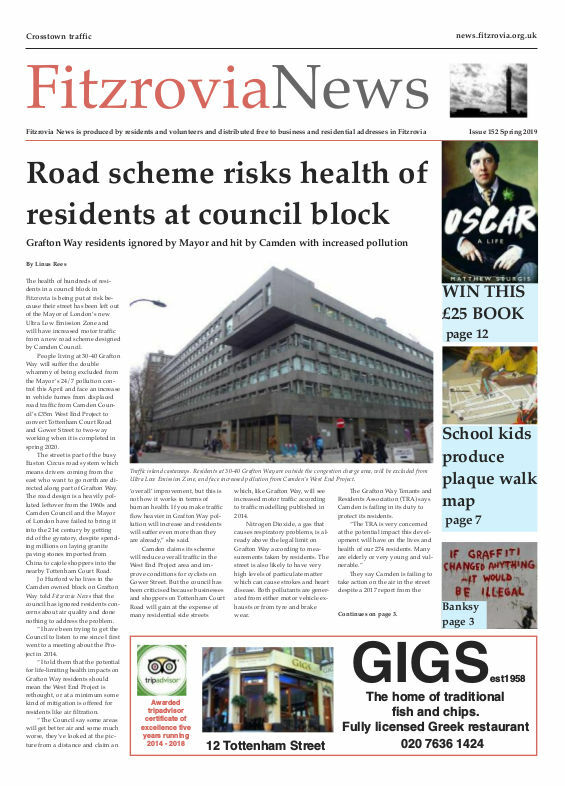 Camden Council has been making much of its plans to create a new park, with a glossy feature in its Camden Magazine earlier this year. “Alfred Place park is due to be ready to enjoy by summer 2017”, gushes an article in the March edition. Alfred Place park. Is Camden Council full of the brown stuff? The promised new open space is an important sweetener in persuading the public to accept its controversial £41 million plans to pimp up Tottenham Court Road in the biggest trophy project the borough has ever undertaken, and which will push motor vehicle traffic into Fitzrovia’s tiny side streets. 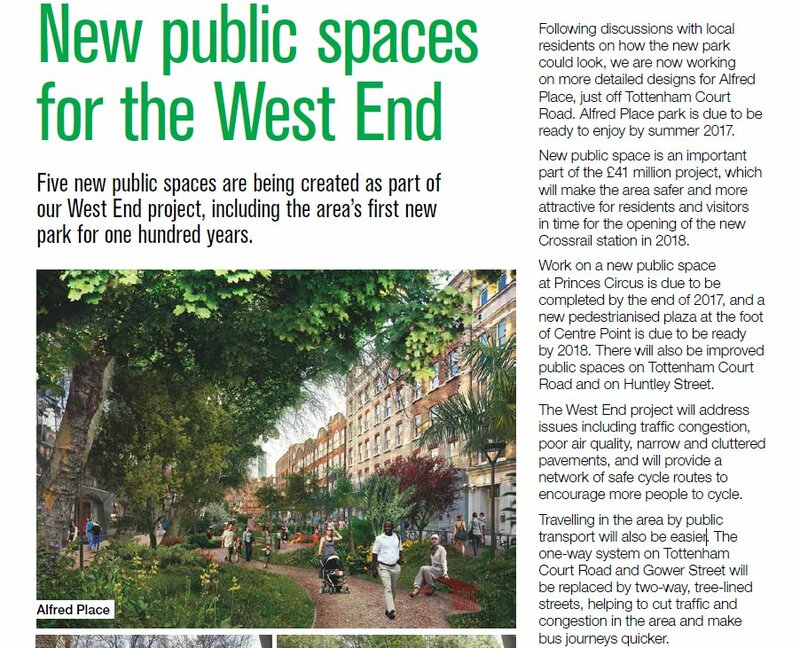 Creating a new public green space at Alfred Place is one of the few things of actual real public benefit that can be gained from what Camden calls the West End Project. But the devil in the detail reveals that while Camden has set aside the cash for everything else, Alfred Place is at the bottom of its list of priorities and it is all “subject to achieving funding”. Fitzrovia News has learned that useless Camden is even considering a temporary public open space, whatever that can possibly be. When local community groups approached the council to talk about this they got a rather dusty response. But we’ve learned that The Fitzrovia Partnership Business Improvement District (BID) has been having monthly meetings with Camden about public realm changes. Not so useless when it comes to taking time out to listen to Fitzrovia’s corporate sector, most of whose members run businesses on Tottenham Court Road.